Spanish National Research Council researcher Carles Lalueza-Fox has sequenced the full genome of DNA recovered from a gourd said to have contained a handkerchief dipped in the blood of the guillotined King Louis XVI. The results indicate the blood was not Louis XVI’s. The functional genome analysis was based on two main points, the genealogical line and the physical appearance, and in both cases the result was negative. According to the historical records that go back to his 16 great-great grandparents, Louis XVI had a very heterogeneous genealogical line in which central European ancestors predominated, mainly from the area that today is Germany and Poland, while the genome recovered from the pumpkin belongs to an individual with a clear French and Italian component. In terms of physical appearance, the sequenced DNA points to an average height in France at the time and brown eyes, while portraits and historical accounts describe Louis XVI as the tallest man on the court and with blue eyes. Only one man in 16 generations of Louis XVI’s great-grandfathers had Northern Italian ancestry: Victor Amadeus II, Duke of Savoy. Meanwhile, the history of the gourd itself places it in Italy for at least the past century, so the possibility that the genetic material inside the gourd was contaminated long after Louis’ death is not negligible. 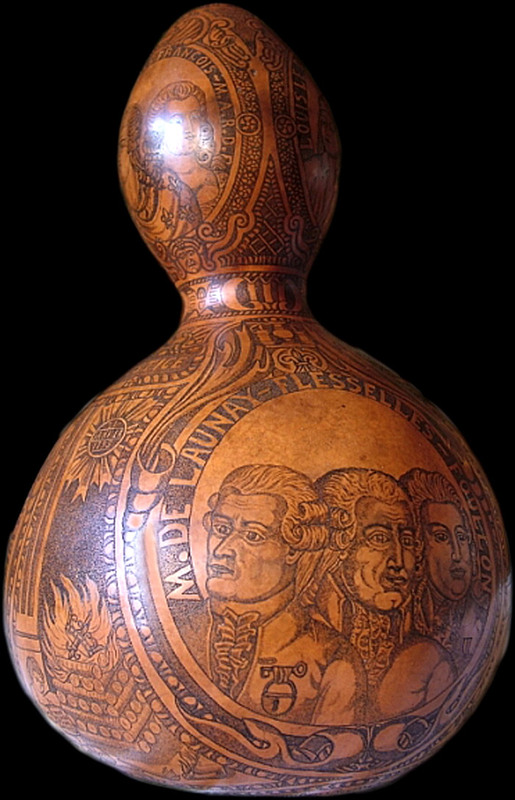 Although the researchers cannot pin down a precise height from the gourd DNA, the genome suggests the individual was in the bottom 4 percentile for height. We can’t pin down Louis’ exact height either — people who described him as the tallest man at court could have been flattering him — but estimating from the 162-centimeter (5’4″) length of his coronation robe, Louis was around 185–190 centimeters (6′ – 6’3″) tall. This will be another blow to forensic pathologist Philippe Charlier who first tested the dried blood on the inside of the intricately carved gourd and compared the Y-chromosome DNA to that recovered from a mummified head previously identified as the remains of King Henry IV. His results found that the DNA from the gourd belonged to a man with blue eyes with a rare genetic makeup that isn’t in any current databases of European DNA. The DNA recovered from the trachea of the mummified head shared multiple alleles from that rare haplotype. Those results were called into question last year by a team of geneticists from the University of Leuven in Belgium who took a more direct approach. 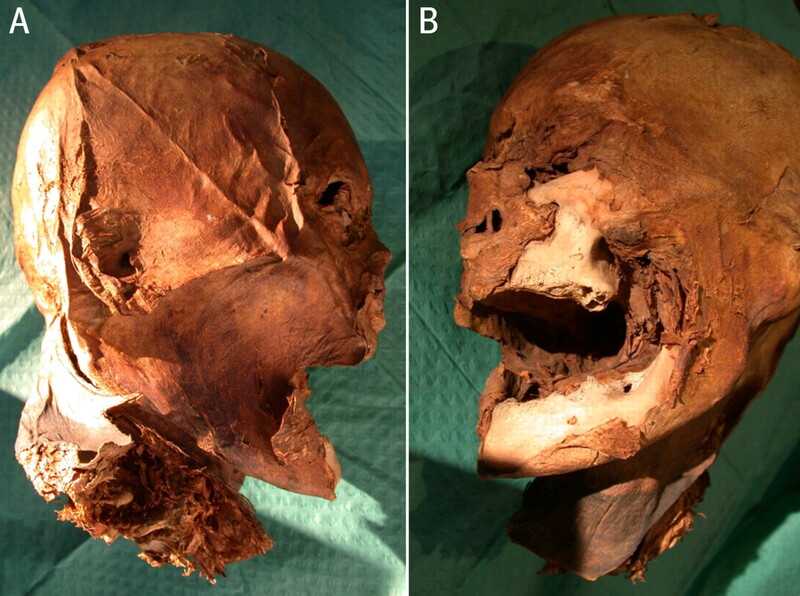 They compared the Y-DNA of the blood from the gourd and the mummified head to modern DNA extracted from three living male descendants of the House of Bourbon. The three men were found to share Y-chromosome DNA, as you would expect from their family connection to Bourbon men on the lineage between Henry IV and Louis XVI. Neither the gourd blood nor the head matched this established Bourbon variant. They also compared the mitochondrial DNA of the head to modern Bourbons down the female line and there was no match. This entry was posted on Friday, April 25th, 2014 at 11:35 PM	and is filed under Modern(ish). You can follow any responses to this entry through the RSS 2.0 feed. You can skip to the end and leave a response. Pinging is currently not allowed. If the guillotine was such a ‘humane’ form of execution, why am I reading accounts of poor Louis’ execution wherein his neck was so fat the blade couldn’t do its work? There are many eye witness accounts of Louis XVI’s execution which do not claim the blade was impeded by the girth of his neck. One witness alleged the blade missed the neck entirely, severing the back of his skull and jaw. Even if it was true rather than derisive anti-royalist propaganda that his neck was too fat for the blade to transect it in one blow, that doesn’t mean the king didn’t die immediately. The guillotine severed his spinal column and he died instantly. Meanwhile, tiny little Mary, Queen of Scots, was butchered by the axe man at her execution. It took three blows to cut her head off. Compared to that, the kiss of Mme Guillotine was sweet indeed. I hope poor Louis didn’t suffer; I read this account in Deborah Cadbury’s ‘The Lost King’: A Story of Revolution, Revenge and DNA’ and also saw it on one the many TeleFrance episodes during France’s Bicentennial. As for Mary, Queen of Scots, was she really that tiny? Historians claim she was six foot tall!